Canker sores are painful sores inside your mouth or on your tongue, that can make it hard to talk or even eat. You can heal canker sores quickly and easily with these 5 natural tips. 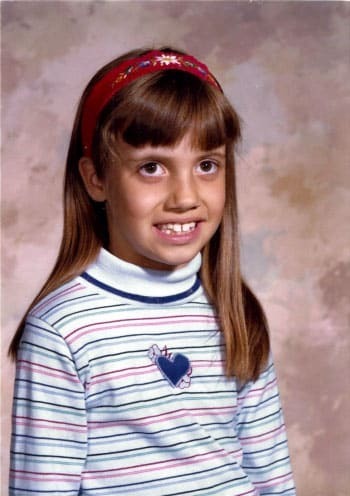 Ladies and gentlemen, I present my 4th grade school picture. Instead of being super-stoked to wear my brand new Garanimals outfit, I was miserable and could barely talk or smile because my mouth was full of canker sores. I used to get canker sores all the time, and I thought they were just an unavoidable part of life. It wasn’t until I started learning about natural health that I learned about these ways to heal canker sores naturally and keep them from coming back. Canker sores are a small, open sore on the inside of the mouth. Your dentist might refer to them as an aphthous ulcer (aphthous is from the Greek word aphtha meaning “mouth ulcer”). Unlike cold sores, they aren’t contagious but they are very painful. There are a variety of causes for canker sores (biting your mouth or tongue while eating, for example) and they normally take a week or two to heal up. However, there are several things you can do to speed up the healing so you can eat and talk again. Here are the 5 best ways to heal a canker sore naturally and get your beautiful smile back. Conventional toothpaste contains sodium lauryl sulfate, which is a foaming agent and a skin irritant. Getting rid of your regular toothpaste is the single best change you can make to prevent canker sores naturally. I switched to Earthpaste many years ago and went from having canker sores every 1-2 weeks to having only 1 or 2 in a YEAR. I can’t recommend Earthpaste enough for helping to prevent canker sores naturally. You might be a little surprised the first time you use it. Earthpaste is made with bentonite clay, essential oils, and other safe ingredients–without artificial colors. Because it doesn’t contain sodium lauryl sulfate, it won’t foam up like regular toothpaste. Don’t worry, it’s working! Your mouth will feel fresh and clean after using it. The next thing to use is one of these mouth rinses. 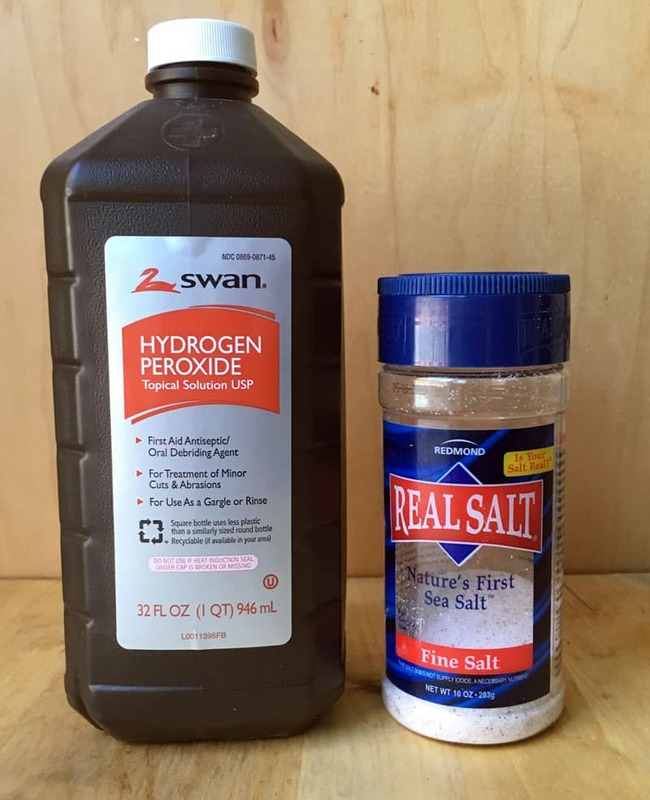 The easiest one to make is ¼ cup hydrogen peroxide, ¼ cup water, and 1 teaspoon salt. Swish around in your mouth for 30 seconds and spit out. This will help take the pain away and prevent infection. It helps to do this right before meals so you can eat without pain. You can use this rinse as many times as needed throughout the day. 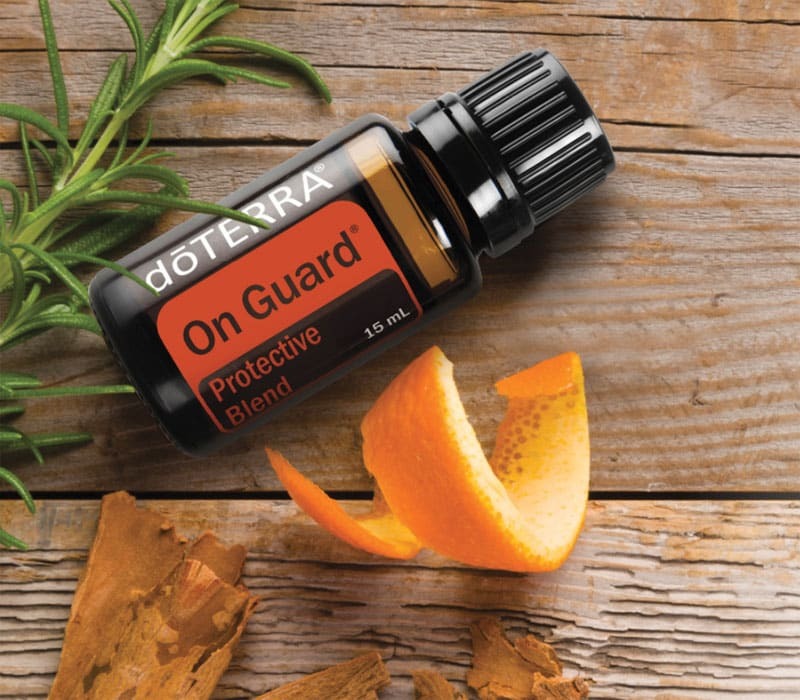 Add 1 drop of On Guard essential oil blend to ¼ cup of water, swish in your mouth for 30 seconds, and spit out. In addition to helping the canker sore heal, the Cinnamon and Clove essential oils in On Guard will help numb the sore and prevent infection. If you’re feeling brave, numb the canker sore with an ice cube and put a drop of On Guard directly on the sore. It will sting at first but will heal up fast! You can use On Guard every 3 or 4 hours as needed to numb the sore. Order certified pure On Guard here. I tried this a while back on a whim and I’m thrilled to report that it works great! Before bed, I apply diluted Frankincense essential oil to the outside of my mouth wherever the sore is. 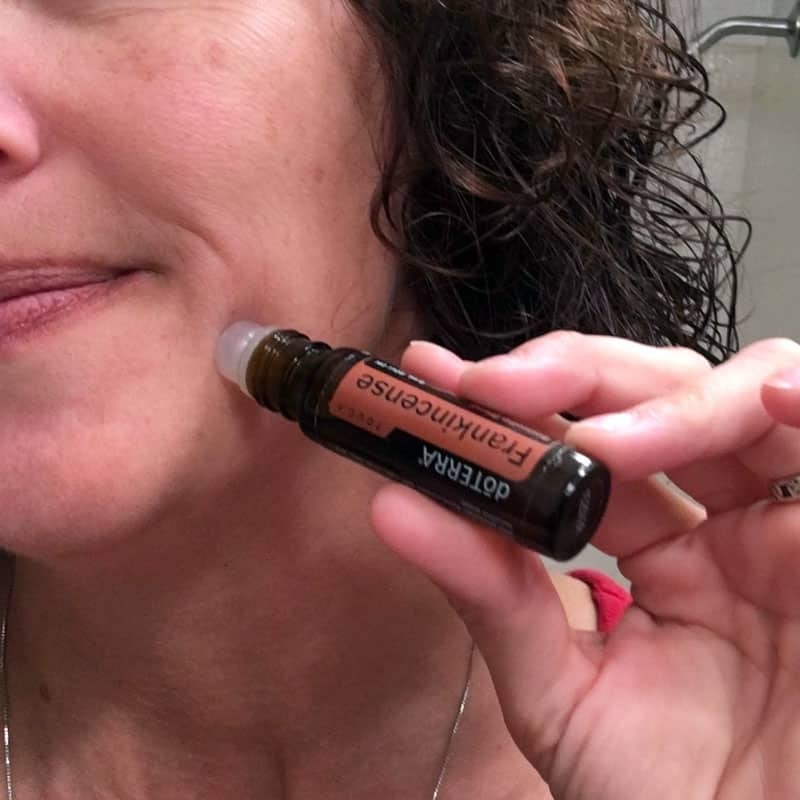 Frankincense essential oil has amazing healing properties, and it will help heal a canker sore in just one or two nights. While I haven’t tried this myself, many people swear by oil pulling for overall oral health and healing canker sores. 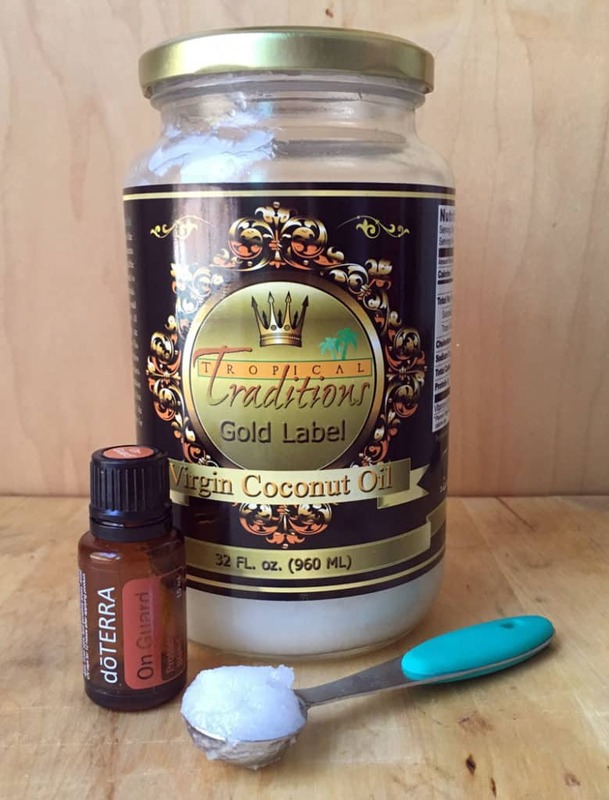 Oil pulling is swishing coconut oil in your mouth, without swallowing, for 10-15 minutes. Coconut oil has antibiotic and anti-inflammatory properties that will help with your overall oral health (not just with canker sores). For an extra boost, add a drop of On Guard to your coconut oil while oil pulling. Get my favorite coconut oil here. There are many other natural remedies floating around the internet, but they aren’t all safe to use (putting alum directly on the canker sore, for example). These 5 ways to heal a canker sore are safe, natural, and you probably have many of these ingredients in your pantry right now. Good luck getting rid of your canker sores! Your beautiful smile will be back in no time. Want more natural remedies? Subscribe to my weekly newsletter! Alum like the spice used in recipes? Why or how is that unsafe? I’m just wondering, I’ve never used it. Thanks for the tips! 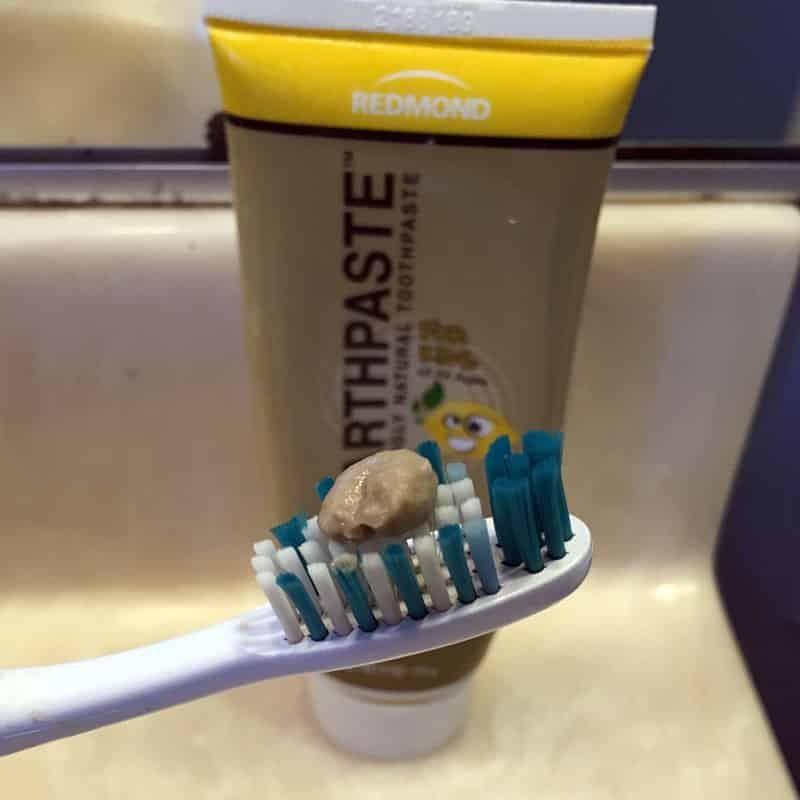 I never got a canker sore when I was using my homemade bentonite clay based toothpaste. But, I got tired of making it all the time and the sores came back. Now I’m making it again and I won’t stop! These things are awful especially under the tongue, and I hit them when I was a lttle kid, too. Thanks so much, I’m following your blog now. You don’t want to put alum on an open sore, because then you’re allowing aluminum to directly enter your bloodstream. One of these other natural methods would be much better!